Just when you think you’ve got Goldendoodles all figured out, somebody comes along and asks you about “F2” Goldendoodles. You stop and think, is this guy referring to one of the function keys on a computer? And if he is, what’s that got to do with Goldendoodles? After much googling, you realise that he’s referring to second generation Goldendoodles. A second generation Goldendoodle is the result of a Goldendoodle bred to another Goldendoodle. But let’s not get ahead of ourselves. Just as there are generations of people, there are generations of Goldendoodles. A first generation Goldendoodle, identified with the letter and number F1, is the product of a Golden Retriever and a Poodle. 50% Retriever and 50% Poodle, F1 Goldendoodles are often described as exhibiting hybrid vigour. Hybrid vigour, or heterosis, refers to the improved or increased function of any biological quality in a hybrid offspring. F1 Goldendoodles have the traits that we commonly associate with Goldendoodles. Super friendly companion dogs with coats that are usually wavy or curly. They shed a little and most are suitable for families with mild allergies. Then you have an F1B Goldendoodle which is what you get when you cross an F1 Goldendoodle with a Poodle. The resulting Goldendoodle is 25% Golden Retriever and 75% Poodle. The B in F1B stands for backcrossing or back breeding, and is an effective method for transferring desired traits from one line to another. Considered a first generation cross, the F1B Goldendoodle is a very popular generation due to its non-shedding trait. It is recommended for families with moderate to severe allergies. If you take an F1B Goldendoodle and cross it once more with a Poodle, you produce an F1BB. Its curly, non-shedding coat works well with families struggling with moderate to severe allergies. Anytime you cross a Goldendoodle with another Goldendoodle, you get what is called a multigen Goldendoodle. The second generation Goldendoodle (F2) is the product of a Goldendoodle bred to another Goldendoodle. This can be achieved with either an F1 to F1 cross or F1B to to F1 cross. F2 Goldendoodles can have a wider variety of coat types and colour due to recessive genes that you won’t get, or are rare, on F1 Goldendoodles. An F3 Goldendoodle is a multigen that can be any of the following combinations: F1B x F1B or a backcross Goldendoodle crossed with another backcross Goldendoodle; F1B x F2B or a backcross Goldendoodle crossed with a second generation backcross Goldendoodle; F2 x F2 or a cross between two second generation Goldendoodles; F2B x F2B or a cross between two second generation backcross Goldendoodles. What is a the best generation of Goldendoodle? There is no one right answer to this question. The best Goldendoodle generation would invariably be the one that has the most desirable traits you look for in a pet. Needless to say it depends on who you’re asking. which explains why most breeds shed. Hair, on the other hand, continues to grow and doesn’t fall out when it reaches a certain length. You can, of course, expect some hair to come off when brushing and combing your beloved Goldendoodle. Please note that a dog’s coat is not the exclusive domain of allergies. 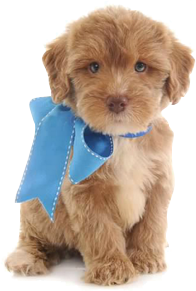 There is no Goldendoodle generation that will be suitable to a person who has allergies to dog saliva, for example.